....Some of the biggest supermodels of the moment giving good face in Paris Vogues November issue. To be honest i dont think there is anything you could possibly do to make these ladies not look beautiful, but by god dont they just!? My favourite shot is the one of Arizona Muse wearing a delicate headdress of roses. 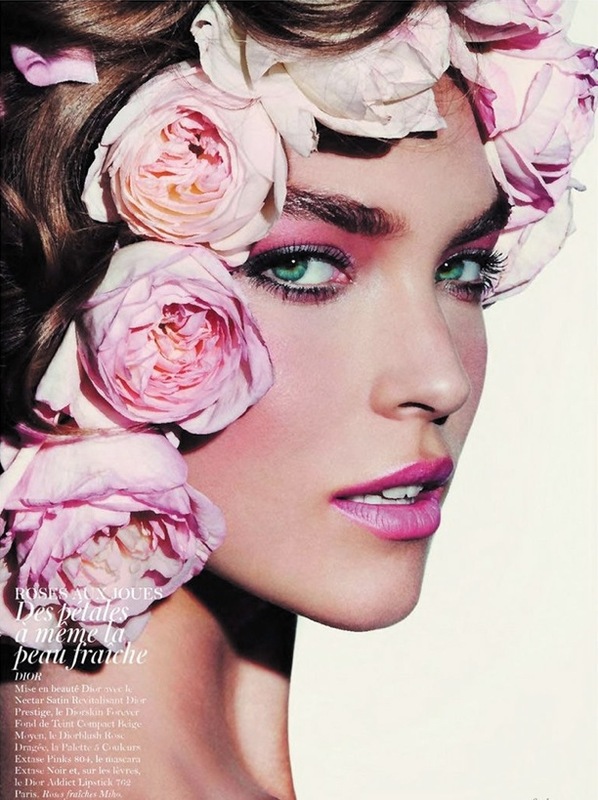 The shades of pink in the flowers and make-up palette contrast so effectivley with her piercing green eyes, the image is just breathtaking.